Reno, Nev. (3/30/17) – The Governor’s Office of Science, Innovation and Technology (OSIT) has hired the Estipona Group for the creation of a new website: www.stemhub.nv.gov. The website functions as a comprehensive resource site for students, parents, educators and business leaders to help fulfill the state’s efforts in making Nevada the premiere workforce supplier for advanced STEM (science, technology, engineering, math) fields. STEM education prepares students for STEM careers, and these careers are necessary for the economic vitality of our state. Governor Brian Sandoval has made the commitment to invest in K-12 STEM education and STEM workforce training so that all Nevadans have the skills the New Nevada economy requires. “It is our hope that this site will help turn his vision into reality,” said Brian Mitchell. Assembly Bill 485 reestablished the Office of Science, Innovation and Technology in the Office of the Governor. 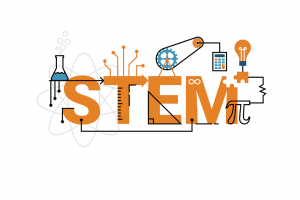 The mission of the Office is to coordinate and align efforts by K-12 and higher education, workforce development and employers to improve STEM education and workforce development so that Nevada’s workforce can meet the demands of its growing economy. The Office will also coordinate broadband activities, support the Advisory Council on STEM and administer STEM workforce challenge grants.